The Center at West Park’s Sanctuary Theater is a 400-seat performance venue, a home to multiple faith communities, and the centerpiece of the landmark West Park Presbyterian Church. It is an ideal venue for off-Broadway productions, live music concerts, dance, opera, and community events. 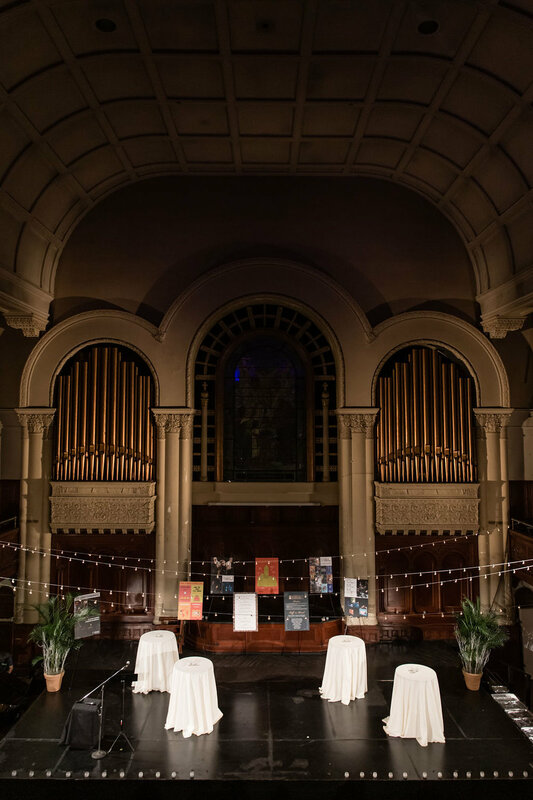 High vaulted ceilings, majestic Romanesque revival architecture, Tiffany stained glass windows, excellent acoustics, raked pew seating, a new raised thrust stage make this an unique venue on the Upper West Side. Main entrance on Amsterdam Avenue at 86th Street (Northeast corner) has steps. Accessible entrance at 165 W 86th Street. Restrooms are only accessible by stairs.